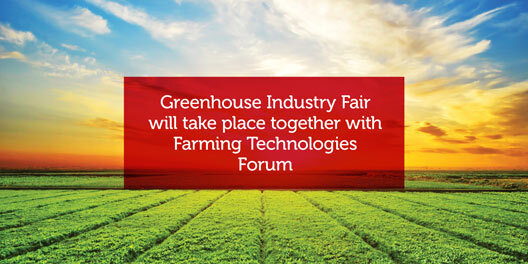 On February 20 вЂ“ 22 KyivExpoPlaza venue hosted Farming Technologies Forum, GreenHouse Industry trade shows, Storage Expo: Fruits&Vegetables and Industrial Cold trade show. Farming Technologies Forum has introduced for the first time the Farm Contract Fair, where farmers had got an opportunity to meet with representatives of retail and catering and conclude contracts for supply of crafted products. At the same time, "Franchising" and "Retail Industry" forum were held. The Organizing Committee expresses sincere gratitude to participants, visitors, partners вЂ“ everyone, who contributed to preparation and organization of events. Thanks to your active position, energy and optimism, our events turned out to be rich, informative and bright. Please get acquainted with detailed report on the trade shows. General informational partner вЂ“ “Fruit and Vegetables” magazine. Informational support: “Gardening and Winery. Technologies and Innovations”, “AgroNavigator”, “AgroONE”,В AGROLUX, “AgroTimes”, “Not boring Garden”,В “AgroPartner”, “Press-Exchange”, “Garden Industry” catalogue, “Cold Industry”, AgroSmart, AgroSells, ”InfoIndustry”. 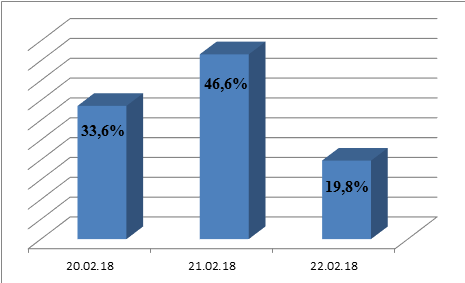 Kyiv and region, Dnipro and region, Kharkiv, Vinnitsa and region, Khmelnitskiy and region, Lviv, Odessa, Lutsk, Cherkassy and region, Poltava, Mykolayv, Donetsk region, Zaporozhie and region, Rivne, Chernigiv. See you at our trade shows in February 2019!